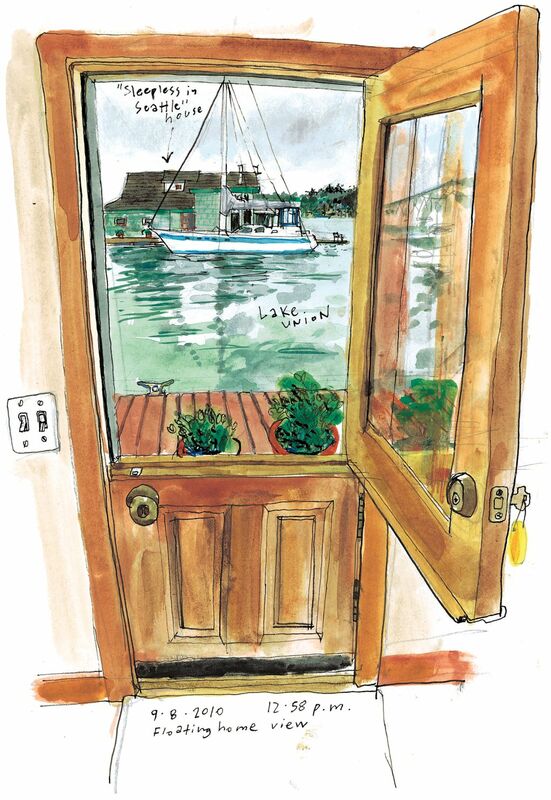 Seventeen years after “Sleepless in Seattle” romanticized houseboat living, curious tourists still sneak into Lake Union docks searching for the home of Sam Baldwin, the sleepless widower played by Tom Hanks in the 1993 blockbuster. I felt a bit like one of the tourists when I visited Eugene Nutt and Ann Bassetti at the houseboat where they’ve lived since1988. From their living room, they had a front-row seat for the making of the movie. They recalled holiday decorations and a “big crane with a massive shower head” to produce rain in August. There are only about 500 floating homes now, down from a couple of thousand in the 1930s, so I’m not surprised this unique community is such an attraction. 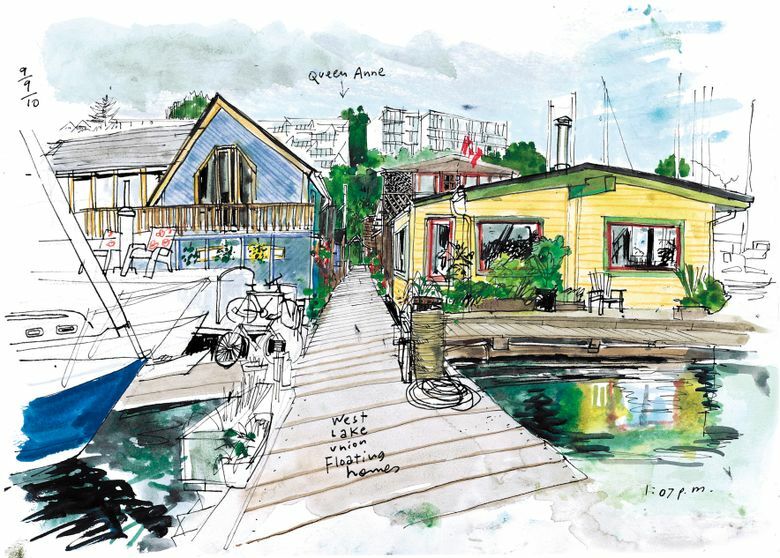 On Sunday, more than 1,000 people will attend the sold-out tour offered by the Floating Homes Association every two years. I’ll have to make my reservation early for September 2012.